looks forward to helping you! At the Green Valley Chiropractic & Wellness Center, we work hard to offer the best chiropractic treatment possible for our patients. Dr. Roles provides gentle and effective chiropractic treatments that can help get rid of your pain, and restore and rehabilitate your spine so you can achieve full wellness. If you have any questions, please call us at (702) 451-0480 and one of our trained staff will be glad to set up an appointment. Don’t forget to take advantage of our New Patient Specials! Make us the chiropractor Henderson prefers! We teach our patients unique exercises designed specifically for them. They help strengthen the spine and correct the problem that the patient sought treatment for. All of the exercises we work with can be done in one’s own home, and are very simple to perform. Dr. Roles and the Green Valley Chiropractic & Wellness Center also does nutritional counseling and can provide custom nutritional programs based on an in depth understanding of your individual needs. We advise you on specific recommendations of nutritional supplements and healthy food choices that will enhance your results from chiropractic care, and bring you closer to achieving your health and wellness goals. 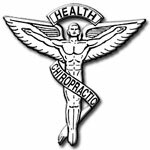 This is all part of being the chiropractor Henderson can believe in, the one who does it all. For these and any other service you need, come to us! At Green Valley, we are the chiropractor Henderson needs most.